A 2 x concentrated laundry liquid that promises excellent washing results even at low temperatures. Add 2-3 capfuls for each wash and see the results. 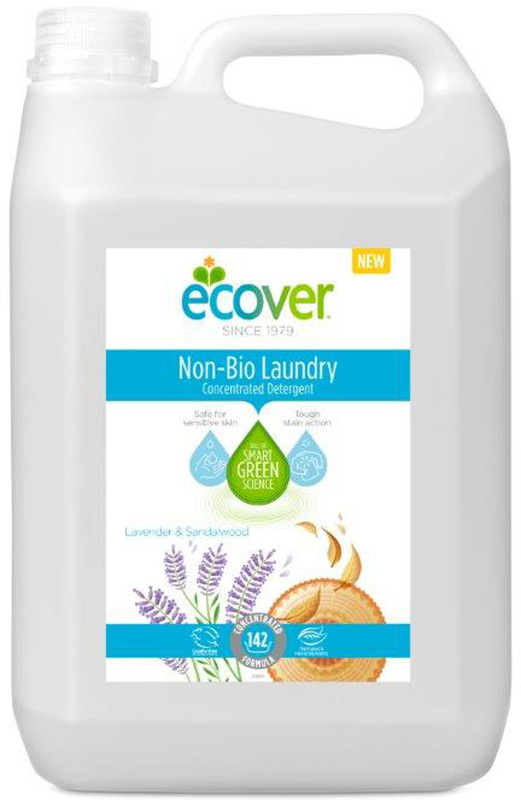 Rest assured that Ecover's pioneering ingredients are shown to have ten times less toxicity to aquatic organisms than a conventional liquid detergent. Also great for hand washing. 15-30%: Non-ionic surfactants. 5-15%: Anionic surfactants, Soap. <5%: Perfume (Limonene, Linalool, Butylphenyl methylpropional). Other:Water, Alcohol denat., Sodium citrate, Glycerin, Trisodium ethylenediamine disuccinate, Polypropylene terephthalate, Citric acid. 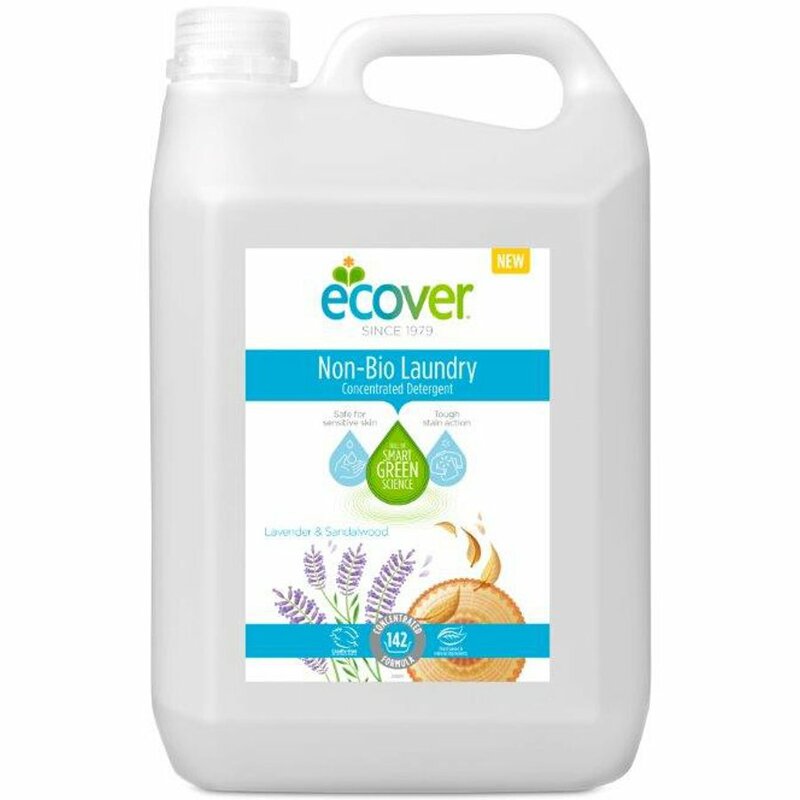 The Ecover Non-Bio Concentrated Laundry Liquid - Lavender & Sandalwood - 142 Washes - 5L product ethics are indicated below. To learn more about these product ethics and to see related products, follow the links below. I have used this for several years for all my washing, and will continue to do so. Gentle scent, great for atopic skin. Q: Do you have to put this product in the washing machine tray or can you use it straight into the drum etc, in a ball etc etc ? A: You should place the dosage into your machine's dispenser tray.